For the majority of my life, I’ve had faith that, despite its flaws, America remains a land of freedom and opportunity. But as I’ve watched Donald Trump dismantle much of the progress our nation has made in the past 50 years with his racist and hateful policies, my heart has begun to ache for our country and the future generations that will inhabit it. 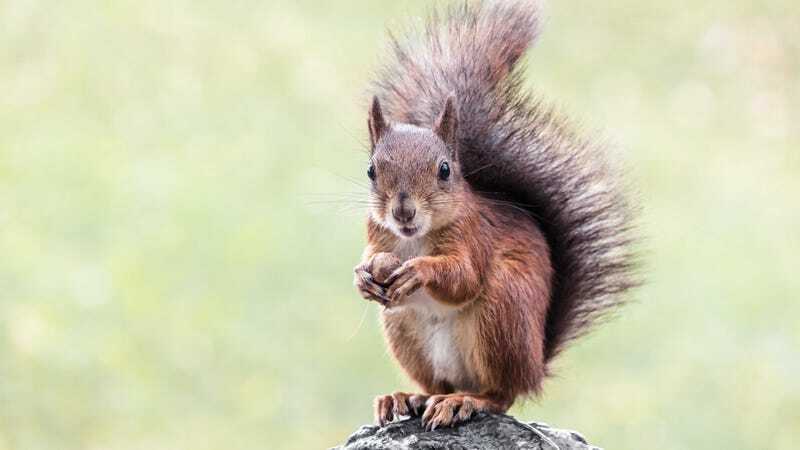 Donald Trump is destroying all that makes our country great, and I didn’t spend $150,000 saving a squirrel’s life just so it could live in his America. When I drained my savings account, despite my wife’s threats to leave me, in order to pay to have a squirrel I found lying unconscious in the park air-lifted to a veterinary hospital, I did so because I believed the squirrel would one day recover to live in a progressive America where immigrants and refugees are welcomed with open arms. I sold the wedding ring my wife returned to me and reverse-mortgaged my house in order to afford the team of medical researchers I hired to develop the world’s first artificial squirrel heart so that the squirrel could live in a country that values equality and acceptance over hatred and fear. We as a country have come too far for the thousands of dollars in medical care I’ve spent on this squirrel to be thrown away because of one racist tyrant. I missed 90 days of work, ultimately losing my job in the process, while I sat at the squirrel’s hospital bedside day and night, waiting on it hand and foot as it recovered, because I wanted to give it the chance to thrive in “the land of opportunity,” but Trump has turned America’s promise into a lie. No, I didn’t lose $8,500 playing video poker at a Texaco service station in a desperate hunt for cash to pay for the squirrel’s dialysis treatments just to roll over and watch Trump make that same dialysis treatment unattainable for so many struggling Americans through his ugly policies. That’s not the world I want the squirrel I bankrupted myself to save to live in. We as a country have come too far for the thousands of dollars in medical care I’ve spent on this squirrel to be thrown away because of one racist tyrant. If my words seem overly passionate, forgive me, but I’ve suffered with the untreated Lyme disease the squirrel gave me when it attacked me in a morphine-induced haze for far too long to not raise my voice and make sure Trump is voted out of office. Yet even in this dark hour in our nation’s history, I still have hope. I continue to shell out $500 a week for the squirrel’s heart medication and take it to its daily $800 physical therapy sessions where the nation’s top physicians attempt to teach the squirrel to climb trees again because I have faith that America’s democratic system is stronger than all of Trump and his cronies’ corruption. Soon enough he and all his crook friends will be in jail, the racist, regressive policies he’s put in place will be reversed, and the signs my neighbors have put up on my lawn calling me “Squirrel Boy” will be taken down. It is this hope that drives me, despite the shameful despotism of our current president, to sink thousands of dollars a day into research for bionic squirrel legs. For although today Donald Trump may reign as an agent of nationwide bigotry and regression, and although today I was forced to sell my blood plasma in order to buy a tiny squirrel ventilator, I press on in the hope that someday soon we may find ourselves in a world where my squirrel might run free and in an America where people of all colors and creeds can truly find life, liberty, and the pursuit of happiness.